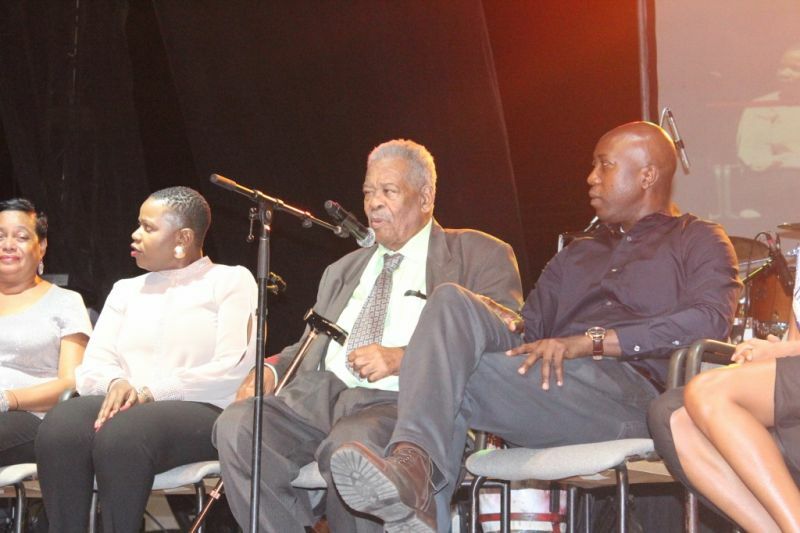 The Virgin Islands Party (VIP) stalwart was speaking last night April 4, 2015 at the opening of the 2015 Virgin Gorda Easter Festival. 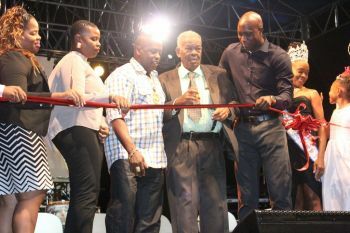 The Easter Festival Village has been named the Hon Ralph T. O'Neal Festiville in his honour. "In May last year I announced I will not be standing for elections. I thought it was fair and reasonable to give someone else a chance," he said. "I am not going to say who must run. I don't want them to say Ralph gone and he doing this and that. People must make their decision," he said. Who will be the next 9th District Rep? Three persons will be seeking nomination at the VIP Congress to contest the 9th District. They are Stephanie I. Faulkner Williams, Victor Vincent O'Neal and Devon U. Osborne. Dr Hubert O’Neal will be running with the ruling National Democratic Party (NDP). Dr Rawle R. Hannibal announced via this news site that he is running as an Independent in the Ninth District, which includes Virgin Gorda and Anegada. Further, Virgin Gordian Faye J. Reese-Charles will be the People’s Empowerment Party’s (PEP) candidate to contest the seat in the Ninth District and that an announcement will come in May 2015, according to our news site's many sources. On being honoured this year, O'Neal said, "I accept this honour with deep humility and I will let you know that each morning when we say our prayers I ask the Lord to keep me humble so I could talk to any person." He noted that some people stop speaking to people on the ground when they have achieved a certain level in life. "That's not me. I have to speak with people and I could say with thanks tonight that the young people of Virgin Gorda have seen it fit to honour me this year," he said. 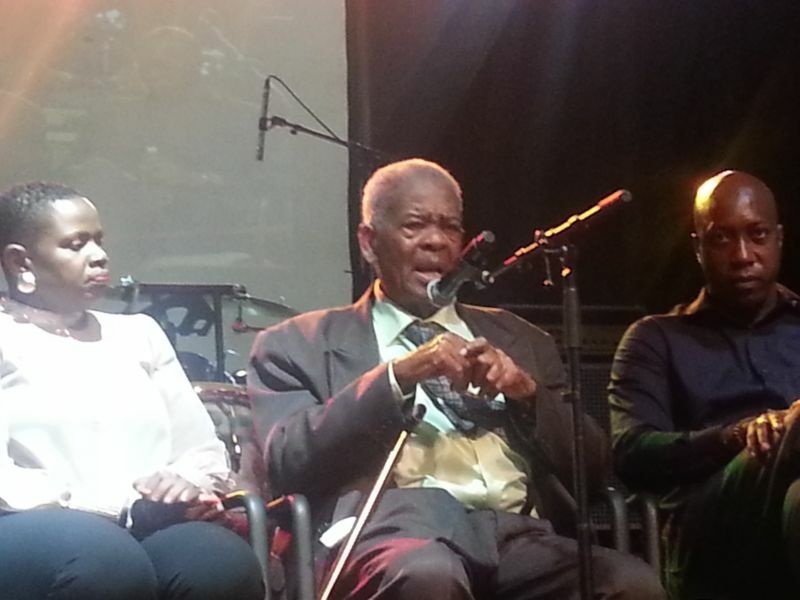 "I thank God that the people of Virgin Gorda kept me there for 40 years. 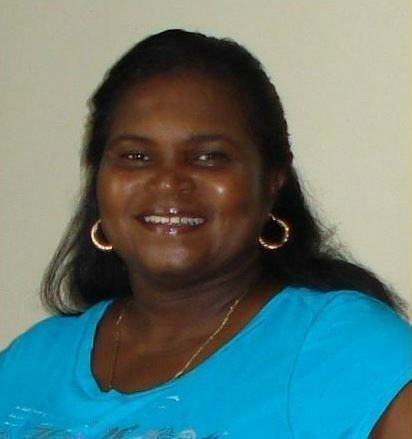 I hope you will get someone who will continue to work for Virgin Gorda and the BVI. Hon O'Neal said he was glad to serve the people not only in Virgin Gorda but Anegada and the entire Virgin Islands. Hon Ralph T. O’Neal OBE, is one of serveral sons of Otto and Esther O’Neal and was born on December 15, 1933 on Virgin Gorda. Hon O’Neal is from the educated class having received his education at St Mary’s School, Virgin Gorda, the St Kitts/Nevis Grammar School and Oxford University in England where he read public administration. He entered the teaching service of the Virgin Islands at the age of 18 and began his long and illustrious public service career where he served as School Principal, Clerk of the then Legislative Council, Chief Education Officer and what is referred to today, as Permanent Secretary in the then Ministry of Trade and Production. Hon O’Neal left the public service to go to the private sector. In 1975 he entered the political arena and was successful in being elected as the representative of the then Seventh District, of Virgin Gorda. By 1979 there was a shuffling of districts and Virgin Gorda together with Anegada became the Ninth District. Once elected in 1975 Hon O’Neal never lost an election and was successful in the elections of 1979, 1983, 1986, 1990, 1995, 1999, 2003, 2007, and 2011. Hon O’Neal has served in every Ministry in government except the now Ministry of Communications and Works, and became Chief Minister in 1995 after the death of late Chief Minister Lavity Stoutt. He is also the Territory’s first Premier following the new constitutional order of 2007. It is Hon O’Neal who is directly responsible for well over 90% of all developments on Virgin Gorda and Anegada, from the many roads cut and paved, schools and clinic, police station, post office, water, electricity, Government Administration Complex and docks, along with being in a position to approved many of the private sector Developments on both Virgin Gorda and Anegada. One of Hon O’Neal’s lasting legacies is the creation of the London Office now the BVI House. His VIP administration is also responsible for much of the development of the Virgin Islands, from the T.B. Lettsome International Airport, the new Queen Elizabeth Bridge, the Commercial Court, the College and the awarding of Crown lands to residents to build their first home, to name a few. The VIP led Administration built the first Cruise Ship Dock on Wickham's Cay, introduced the clinic system throughout the Virgin Islands and constructed all the community centers from Anegada to Virgin Gorda and Tortola. A living local & regional legacy served longer than most! Mr O’Neal has also been the longest serving member of Parliament in the English Speaking Caribbean and has outlasted other great regional political stalwarts like Trinidad and Tobago’s Sir Eric E. Williams 25 years (1956-1981) Antigua and Barbuda Sir Vere Cornwall Bird Sr., 34 years (1960-1994). Hon O’Neal had told this news site in an exclusive interview in 2012 that Mr Bird was his political hero. 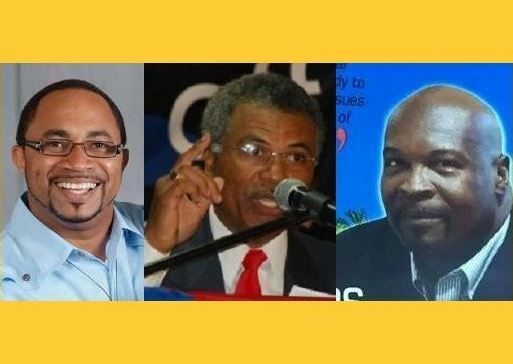 The son of Virgin Gorda, Hon O’Neal also outlasted in elective office St Kitts and Nevis Robert Llewellyn Bradshaw’s 32 years (1946-1978) and Barbados’ Errol Walton Barrow, QC, 36 years (1951-1987) and Jamaican’s Michael Normal Manley 25 years in elective office (1967-1992), Guyana’s Linden Forbes Sampson Burnham 32 years (1953-1985) and also St Vincent and the Grenadines’ Sir James Fitz-Allen Mitchell 34 years (1966-2000). 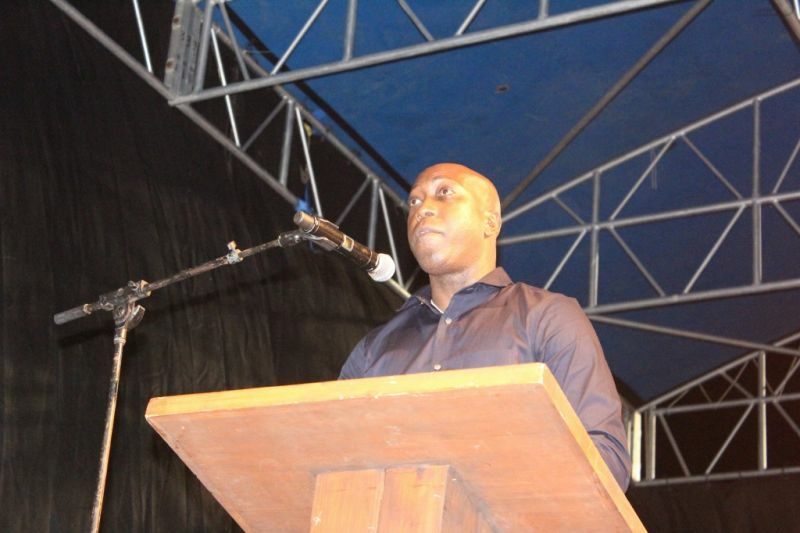 Speaking at the ceremony, Minister for Education and Culture Honourable Myron V. Walwyn put forword that something more significant than the Virgin Gorda Festival must be named "and named fast" in honour of Honourable O'Neal. There have long been calls from the public for Hon O'Neal to be honoured in a major way. This problem where myrun turn everthing into politics and a campaign needs to be nipped in the bud IMMEDIATELY! And for political reasons with people's minds he play. As a resident of the 9th District, I gratefully thank you Hon. O'Neal for your tireless and dedicated service to this Territory. Although many persons are quick to mention initiatives not done during your tenure, you have done many extraordinary things with the limited resources. Your humility towards constituents is one of your greatest attributes, hence, that is why he wad reelected for ten consecutive terms and some people will never understand why. Once again, I thank you and yes I believe he should be knighted. the bet gift to give hon ralph is to VOTE VIP ALL THE WAY! I don`t think if I was running I would want his endorsement--What would I say about him. what would I say he did for VG.? on the other hand, it seems like VG people like him.--I may accept it for that reason.. Hannibal is the best candidate people, this guy spent so much of his own money to develop the youths, their music and to take the music talent out of VG into the world.---these are facts--I know---he is truly a good and caring guy. It is his decision to support who is chosen by the committee in the end. Don't mind them Uncle RT. How long? Not Long! before we rid the BVI of the NDP how much longer can we go? I find ralph and omar to be very selfish. It is a smart and thoughtful move. There are 4 persons for nomination in the 9th District why stir up contention . Sorry what did street man say? They should named the Administration complex in Ralph Oneal name. I beg to differ look the pro NDP site gone tell people wha uncle didn't say. They proclaiming he endorse myrun it. Let's be civilize please. Hon. O'Neal you may have your intentions or reasons as to why you will not endorse anyone, but I find that a bit selfish. For 40 years you have cared and worked for the 9th district and as a legacy you should only want the district to be given to someone that would put the same love that you have put in for more than 4 decades. Do it not for party but for the people of the 9th. Don't leave your people hanging like that. Recommend someone who love Virgin Gorda and Anegada. Maybe that silent giant or diamond in the rough, Joel George would be very good. More so excellent.